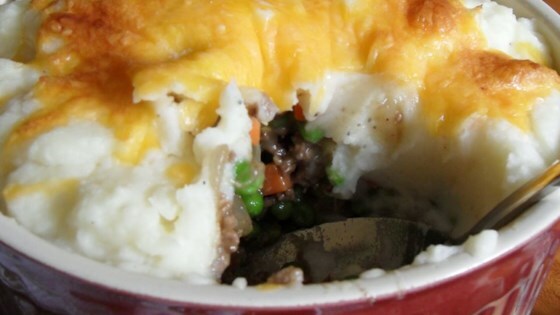 "Gather the family round with this quick and easy shepherd's pie recipe. The meat mixture can be made ahead and frozen. You can also substitute instant potatoes for the real thing if you're in a hurry. I especially love to use white cheddar in this recipe!" This recipe has excellent flavor and is easy to make. I agree with the other review, that the curry adds zip to recipe. I used sharp white cheddar for a good cheese flavor. It's a keeper!